DU is now available nation wide! Airing Sat. @ 1:30 PM and 5:30 PM in California Watch us on DISH Network Jus Punjabi Ch 809 Advertise with us reach East and West Coasts! Welcome to Desi Unplugged your outlet to the latest music videos, and a TV Show bringing you high end music of Bhangra culture, while putting back the energy to dance to the beat. HARMAIL CHATHA DOES IT AGAIN! Can you guess what happens when you bring Video Stars and Artists like Jatinder Jargia, Kushi Saini and HARMAIL CHATHA together with the hottest new Designer Jasramin of JC Designs AND Director of Photography Pete von Tews? Well, when you add the creative talents of the Bay Area Bhangra Club, you have ALL the necessary elements for the latest in a constant string of game changing productions by the visionary producer/artist Harmail Chatha. 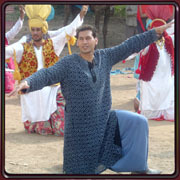 This time a HIT BHANGRA MUSIC VIDEO called Sharab. Yes, the Producer and Star of DESI UNPLUGGED, the world-wide #1, BHANGRA MUSIC VIDEO SHOW has done it again. This is not only the first HIGH-END, HD BHANGRA MUSIC VIDEO to be completely produced in the SF Bay Area... It is also the first time HARMAIL has directed and starred in one of his own productions. Patience has paid of and Sharab showcases HARMAIL, Bay Area acting talent, and the combined choreography of the award winning Bay Area Bhangra Club. Bhangra is about community... and it shows. Look for the Video worldwide on MH1, prominent bhangra websites, AND on Desi Unplugged which airs on Jus Punjabi and Crossings TV, Verizon FIOS and TimeWarner Cable. Desi Unplugged is now hotter than ever. Inquire how you can get Desi Unplugged on your local cable system, On Demand, and Streaming. Now hotter than ever, Desi Unplugged airs three times a week in California Central Valley. From Yuba City to Visalia over Comcast Cable, KBTV Channel 238 and through Comcast On-Demand programming... AND in New York/New Jersey on Jus Punjabi TV , Channel 573. Nationwide on DISH Network Channel 809 Jus Punjabi. Check your local listings for times. Produced in San Francisco by 5K Media Group with studio and crew provide by Pitchcast Media . 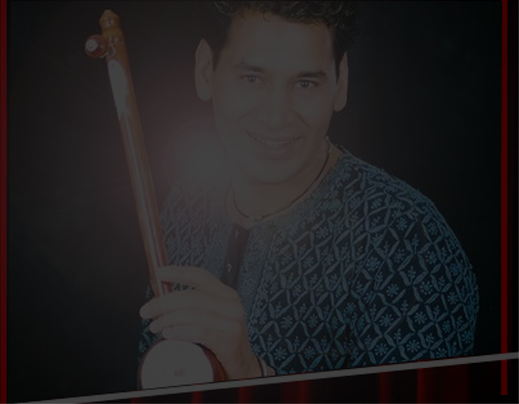 Desi Unplugged is Hosted by Harmail Chatha . Inquire here Info@DesiUnplugged.com on how you too can get Desi Unplugged on your local cable systems, On-Demand and Streaming Video Service or if you would like to be part of the team.